Jose Cuervo Gran Centenario Plata Silver Mexican Blanco Tequila is a popular Tequlia available from DrinkSupermarket.com in 70cl to buy online. Visit DrinkSupermarket.com for the best price for 70cl of Jose Cuervo Gran Centenario Plata Silver Mexican Blanco Tequila or compare prices on our other Tequlia products. 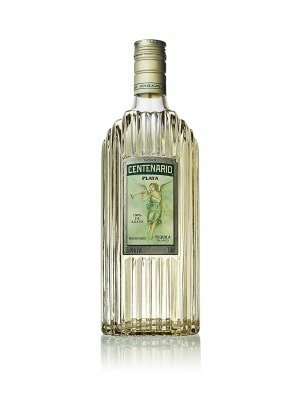 Gran Centenario Plata Silver Mexican Blanco Tequila is processed using a 10 year old agave which is cooked in ovens of stone to obtain honey flavours that ferment naturally to obtain a smooth flavour. Where to buy Jose Cuervo Gran Centenario Plata Silver Mexican Blanco Tequila ? Jose Cuervo Gran Centenario Plata Silver Mexican Blanco Tequila Supermarkets & Stockists. You can buy Jose Cuervo Gran Centenario Plata Silver Mexican Blanco Tequila online in most retailers and find it in the Tequlia aisle in supermarkets but we found the best deals online for Jose Cuervo Gran Centenario Plata Silver Mexican Blanco Tequila in DrinkSupermarket.com, Amazon.co.uk, TheDrinkShop, and others. Compare the current price of Jose Cuervo Gran Centenario Plata Silver Mexican Blanco Tequila in 70cl size in the table of offers below. Simply click on the button to order Jose Cuervo Gran Centenario Plata Silver Mexican Blanco Tequila online now.